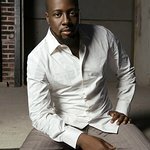 A partnership of the World Food Programme, the Pan American Development Fund and Wyclef Jean's Yéle Haiti Foundation, formed in 2008 to address the food crisis in Haiti. Make a donation at www.togetherforhaiti.org. Even a small donation will go a long way. It takes just 25 cents to give hungry kids a school meal. This food will not only feed bodies, but also minds, and will help transform lives. Google trends for "Together for Haiti"